The stock sell-off that gripped markets Friday rolled into Asia Monday, with a gauge of the region’s shares heading for its biggest decline of 2019 and US futures suggesting further losses on Wall Street. The stock sell-off that gripped markets Friday rolled into Asia Monday, with a gauge of the region’s shares heading for its biggest decline of 2019 and US futures suggesting further losses on Wall Street. Bond yields plumbed fresh lows. Shares fell more than 2% in Tokyo, the biggest slide since December. Equities were down more than 1% in Hong Kong, Shanghai and Seoul, while European futures were lower. Australia’s 10-year bond yield recorded an all-time low and Japan’s hit the lowest since September 2016, when the Bank of Japan overhauled policy to focus less on asset purchases. A closely watched gauge of Treasuries has inverted for the first time since 2007, combining with poor European PMI readings on Friday to deepen recession worries. The global equity recovery that took benchmarks to a five-month high is now showing signs of cracking amid weakening data and a pivot by global central banks away from monetary normalisation – which itself reflects concerns about the outlook. 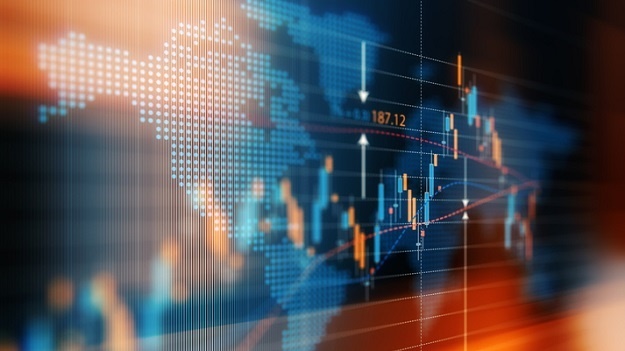 The 2019 advance in shares had taken the S&P 500 Index and MSCI World Index near levels reached during the height of last year’s rally. A breakthrough in U.S.-China trade talks and an eventual turn in economic data could give support for risk assets in time. But meantime, Chow advised dividend-rich equities and high- yield debt for an income-based strategy. Investors also digested news that Special Counsel Robert Mueller found no evidence anyone close to President Donald Trump colluded with Russia in the 2016 presidential campaign. While Mueller failed to exonerate Trump on obstruction of justice, Attorney General William Barr said he did not find enough evidence to pursue that charge. In the UK, sterling dipped at the start of a week that could bring the risk of yet another vote on UK Prime Minister Theresa May’s Brexit plan. Chancellor of the Exchequer Philip Hammond and other cabinet colleagues publicly backed May on Sunday as several British newspapers said she is under increasing pressure to stand down over her handling of Britain’s exit from the European Union.